Over the last 7 days, the Greater New York Red Cross provided emergency assistance to 93 adults and 31 children following 30 local disasters. Here are some highlights from last week and a preview of upcoming activities (see below). Last week was National Teachers Week. To celebrate, we recognized some of the great teachers who volunteer their valuable time with the Red Cross throughout our region. Last Sunday was World Red Cross and Red Crescent Day, a celebration our global mission and volunteers. In honor of the event we posted an interview of Anna Carlstedt, president of the Swedish Red Cross who recently visited our Chapter HQ. Being a mom is hard, yet somehow many find the time to volunteer. In honor of Mother’s Day we celebrated these particularly heroic volunteers. Thank you for all you do! On Saturday, our home fire protection team was in Mastic, Long Island installing free lifesaving smoke alarms in homes throughout the community. Last week our DART team, as well as other local volunteers, continued to assist in Texas following the devastating floods still affecting communities in the area. Last Wednesday was International Firefighters Day; we saluted these heroes who risk their lives day in and day out for our safety. Thank you for your service! 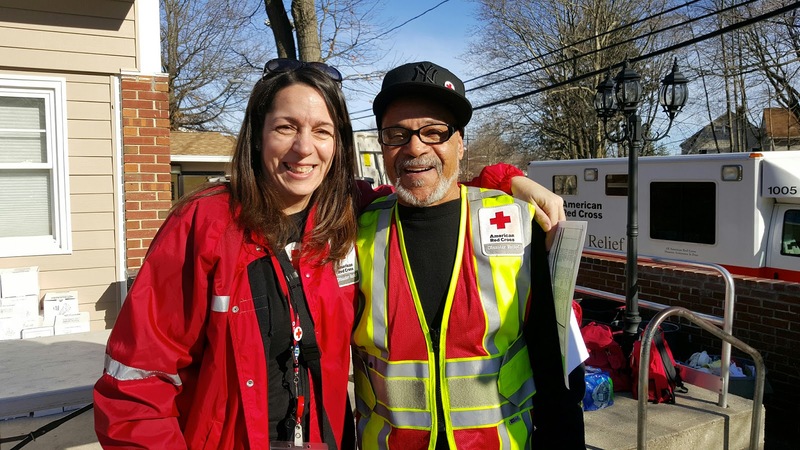 Red Cross volunteer Nancy Soto talks about the rewards of volunteering with the Red Cross in the latest #MyRedCrossLife. On Tuesday Red Crossers offered support following a plane crash in Syosset, Long Island. The dedication of our volunteers never ceases to amaze. In the month of April volunteers in the Greater New York region contributed to an incredible 21,403 hours of service. A special shout out to our volunteers who have logged the most hours in their respective Chapters: Louis Lambros, Metro New York North; Francisco Gonzalez, New York City; and Marilyn Vallejo, Long Island. May 12, 16, 18: Red Cross blood drive: 1 to 7pm: 520 West 49th Street, Manhattan. Schedule an appointment to donate today. May 14: The Citizen Preparedness Corps (CPC) is looking for more trainers and is holding presenter training sessions on May 14. 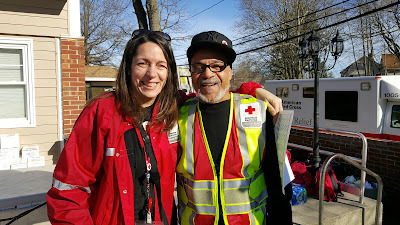 If you are an interested Red Cross volunteer, please email olga.wallace@redcross.org.